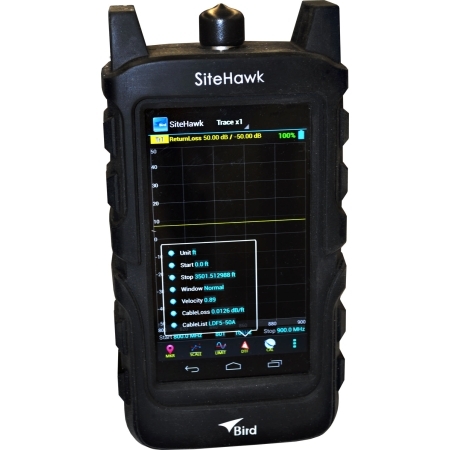 The Bird Technologies SK-4000-TC SiteHawk Analyzer is easy to operate and field ready for first-time, occasional and experienced users. The unit will cover the entire 85-4000 MHz frequency range. It is suitable for use in Worldwide Cellular and PCS/DCS systems; supporting measurement of CDMA, GSM, and LTE Protocols. Other applications include 3G, Broadcast, Government, Tactical Military, Microwave, Paging, Public Safety, Trunking, WLAN, and TETRA.